Are you considering adopting a Boxer? Do you already have one in the family? We have all the information you need to make decisions about their care, including details about this breed’s physical characteristics, playtime needs, grooming tips, nutrition, and more. At the bottom of this guide, look for our comprehensive list of all the health conditions we test for here at Embark, as well as recommendations from our veterinarians for treatable diseases. The Boxer is a truly compelling breed. Descended from war dogs of the Assyrian Empire, the American Kennel Club writes that the first ancestors of these pups can be traced as far back as 2500 BC! Boxers are natural athletes, and they enjoy being active and involved in the daily life of their adoptive family. These traits, combined with their protective instincts and happy demeanor, make them excellent companions. Over the years, Boxers have had many jobs: athlete, cattle dog, police dog, war dog (in both world wars), watchdog, protection dog, and guide dog for the blind. The AKC registered its first Boxer in 1904, but the breed’s U.S. heyday began in the 1950s, when a Westminster-winning Boxer named Bang Away became a national celebrity. The Boxer is a cousin to practically all recognized breeds of the Bulldog type. Flemish tapestries of the 16th and 17th centuries depict scenes of stags and boar hunting, featuring ancestors of the Boxer. The Boxer is tightly muscular, with a squarely proportioned body. According to PetMD.com, when fully grown, these doggos are usually 21 to 25 inches in height, and weigh anywhere from 55 to 75 pounds. Their coats are shiny and short, and each pup’s colors and markings can vary. It is common for Boxers to have an additional marking called “flash,” where their chest, face, or paws are white. These pups have an alert expression, hefty appearance, and strong jaw. Your Boxer’s first few weeks at home will probably be a little disorienting. It will be easier for both you and your pup if you seek to maintain a consistent routine from the very first day. For example, you might try keeping your pup’s feeding schedule and walks as invariable as possible, so your doggo will know what to expect every day. If you are looking to adopt a Boxer from an animal shelter or find a breeder, it’s important to look for breeders that can provide detailed health records for their puppies (and parents!) as well as genetic testing for health conditions. 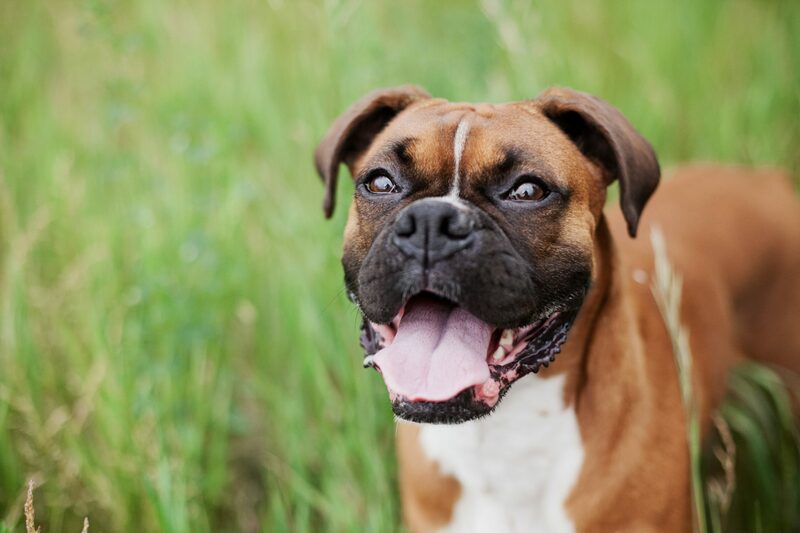 The Orthopedic Foundation for Animals (OFA) and their Canine Health Information Center (CHIC) maintains a voluntary database of Boxers and their health screening results. Your pup’s diet should be appropriate for their age. The AKC writes that some Boxers are prone to becoming overweight, so watch their calorie consumption and weight level. Treats can be an important aid in training, but giving too many can cause obesity. Check with your vet if you have any concerns about your dog’s weight or diet. Clean, fresh water should be available at all times. Vetstreet.com recommends a fair amount of activity for your Boxer as an outlet for any excess energy. These activities can include playing fetch, long walks, or training for agility. Additionally, this breed loves to have a dog-job! Their ancestors were all-purpose farm dogs whose jobs included catching and driving livestock, so your Boxer will really enjoy time outdoors with their attention focused on specific athletic tasks. Boxers have smooth, short single coats so they don’t require excessive grooming, but Animal Planet recommends you clean out their face wrinkles to prevent infections. These pups need baths only when necessary. They are moderate shedders and will need their nails trimmed if not worn down naturally through play and normal activity. 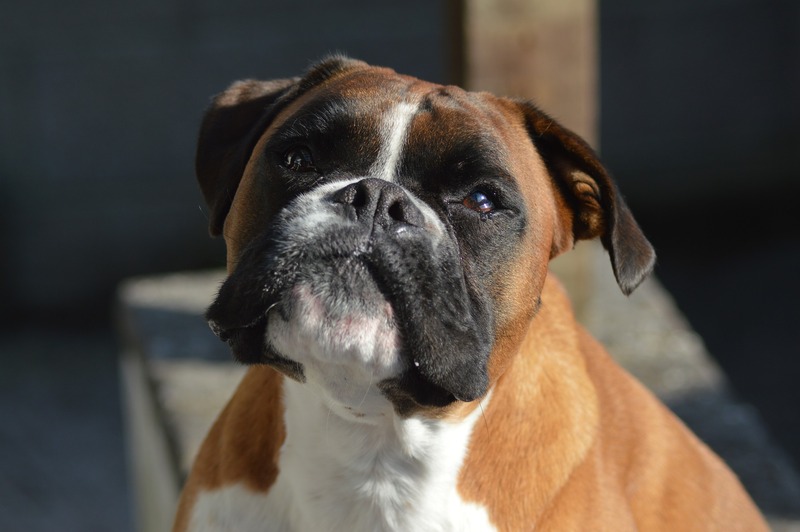 According to PetMD, Boxers have an average lifespan of 8 to 10 years and suffer from both minor ailments and more complicated diseases as they age. Normal aging also comes with other changes to sleep, exercise needs, and weight. Getting your pup tested with Embark will arm you with as much information as possible to ensure your dog is healthy while potentially avoiding preventable diseases. 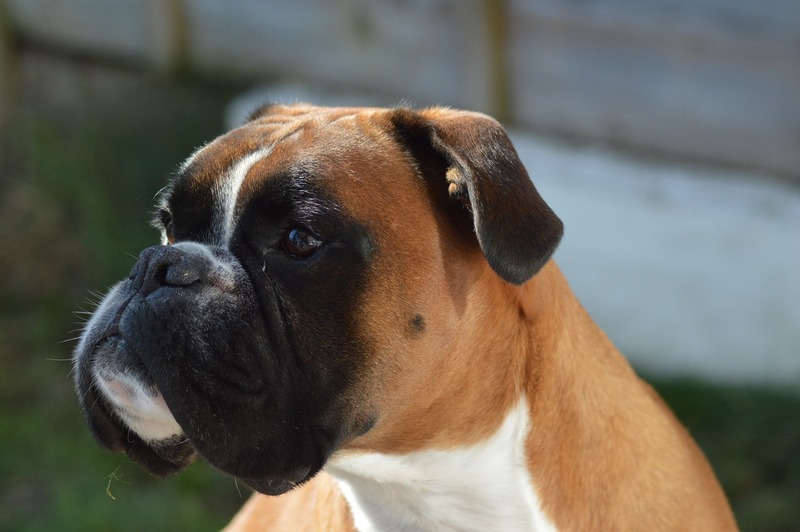 Want to get know even more about your Boxer? Get your Embark Dog DNA Test today!